Durban - Veteran ocean racing ace Matt Bouman signalled his dominance of the 2018 FNB Surfski Series when he powered away to win race seven, the Boland Surfski Challenge, presented by Marriott, and the 2018 title in tough conditions on Friday evening. 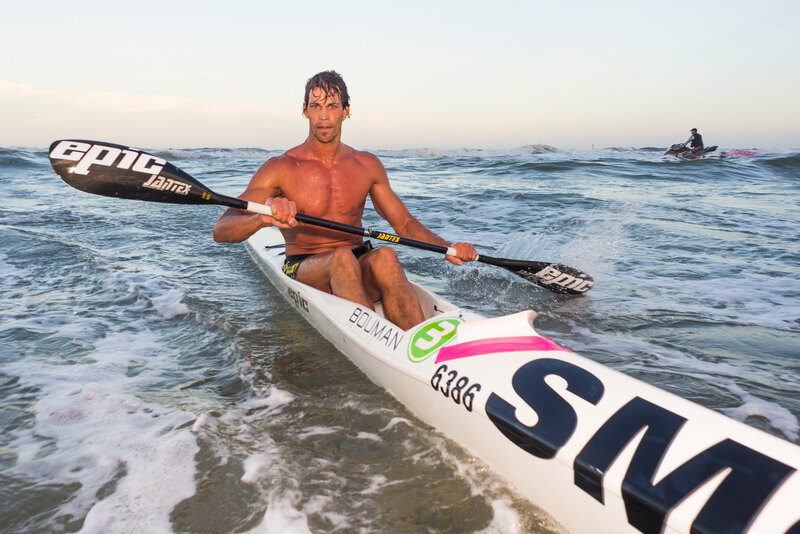 With a powerful north-easterly to contend with, SMG/Epic Kayaks’ Bouman showed the field why and how he is one of the premier surfski paddlers in the country with an emphatic display that gave him his fourth win in as many races to wrap up the series title with only a handful of races to go. Bouman, who has been a class apart in 2018, had the usual suspects to battle it out with and once again he managed to get the better of his friend and rival Wade Krieger who finished second. Krieger had a tough battle for second place but manage to pip Gene Prato to the spot by ten seconds. "It's been a while since I last won a series title here at Marine," Bouman said. "I would have to think back a pretty long way to think of the last FNB Surfski Series title I did win but it is great that we managed to get out there on Friday. "As I have said before, we have one of the strongest paddling communities in the workd here in Durban and to get a win, let alone a series win, is something to be proud of." 2017 was a difficult year for Bouman who battled injury through most of it, but to show the form that he is now bodes well going into the rest of the year. "I really wanted to give World Champs a proper go last year but with the injury I was disappointed. "The goal this year is to just get back up to strength and I haven't really looked to far ahead of this series to be honest," he added. Having just come off a bronze medal at the 2018 FNB Dusi Canoe Marathon, Euro Steel’s Jenna Ward and Luke Nisbet teamed up to take home the mixed doubles honours on Friday evening after a long absence from ocean racing. 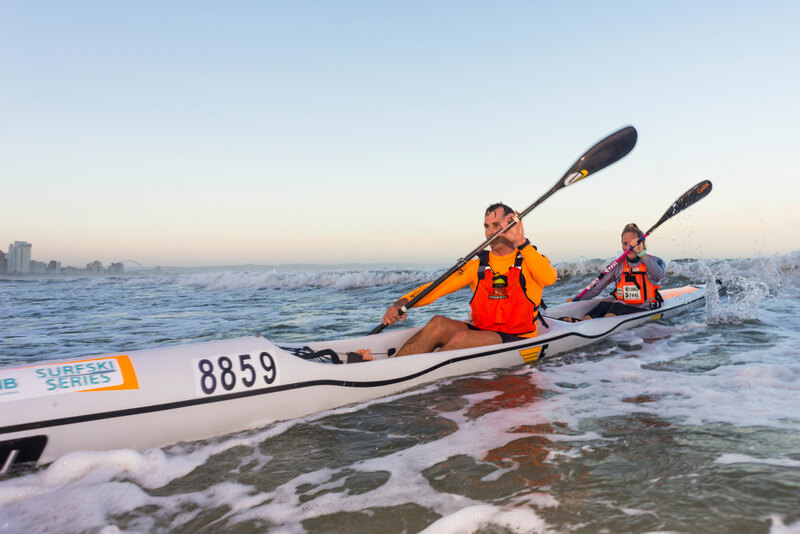 “I think I have been in my ski once and that was for a long training session in preparation for the Dusi,” the former age group Ocean Racing World Champion Ward said. 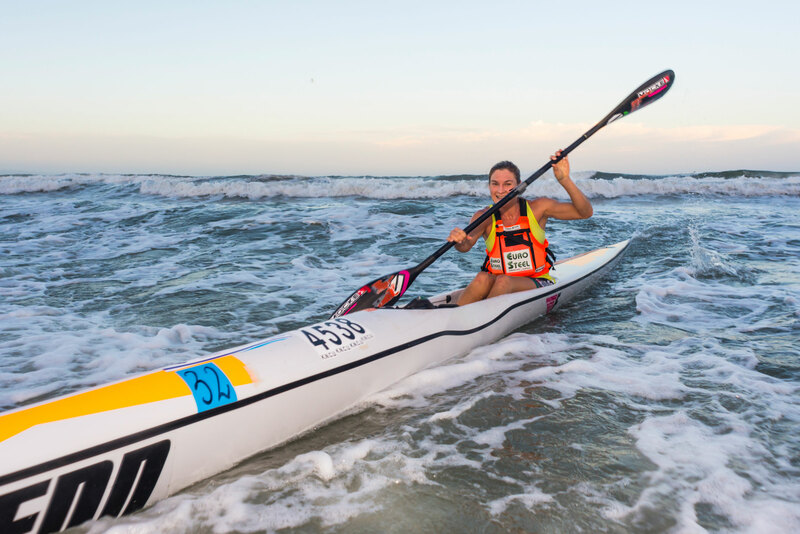 “The sea is so exciting and with me not having a lot of time to race in my surfski recently Friday was the perfect way to get back into it and the conditions were actually great! Ward and Nisbet have combined to become a formidable force in a double surfski and have won far more races than they haven’t in the mixed category. Although Ward will return to singles she is using the mixed doubles racing as a preparation. “It’s great training in a mixed double because it goes faster than a single and it helps me work on my speed training for the flat-water marathon season. “We’ll probably paddle the rest of the series in the mixed double and then for the winter series I’ll move back to my single,” Ward added. After seeing her new husband power to a FNB Dusi Canoe Marathon title, Nikki Birkett (neé Russell) hopped back into a surfski to take home the ladies crown on Friday. She beat off the challenge from Sabina Lawrie and Sharon Armstrong to take her first race win of the 2018 series in impressive fashion. Tyron Maher and Trevor Maher were the second strongest doubles pair on the water while Trevor Verness and Skye Prato rounded out the doubles podium. The all-ladies crew of Euro Steel’s Hayley Nixon and Carmel Bilson were once again the strongest ladies double and finished fourth overall in the doubles category. The 4km short course saw Matt Maroun take his first win of 2018 ahead of Connor Botha in second and Dave Rees in third. Experienced paddler Kyeta Purchase partners up with Joshua Simpkins to take home the doubles honours in the short course on Friday evening. Race Eight, the Vaaka Cadence Surfski Challenge, of the 2018 FNB Surfski Series takes place at Marine Surf Lifesaving Club on Friday, 2 March.